The event is a charity ball is in aid of the HCPT 194 charity group. They take sick, disabled and disadvantaged children away for a life-changing holiday week at Easter. The ball is £35 for a ticket, which includes a 3 course meal, Prosecco on arrival and live music for the night. Entertainment includes singers and a live band. 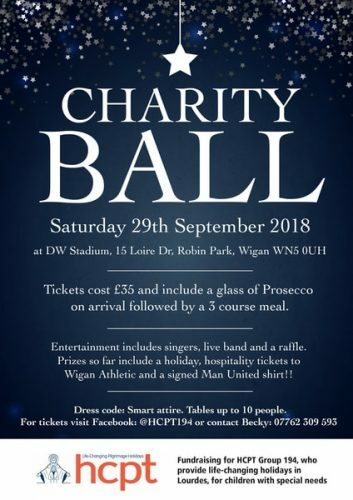 There is also a raffle and an auction with top prizes of a holiday, hospitality tickets to Wigan Athletic, and a signed Manchester United shirt.